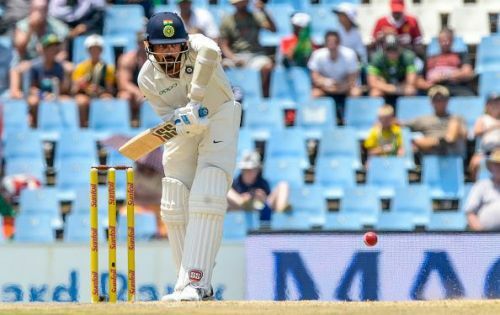 Murali Vijay, who was dropped from the Indian side after the third Test against England, has started his Essex career on the best possible note as he followed up his fifty in the first innings by scoring a brilliant century in the second innings of the match against Nottinghamshire. Chasing 282 in the fourth innings to win, something that the Indian team has been struggling to do in England over the last one month, Essex lost their opener Nick Browne for just 11. It was when Vijay was joined by discarded England batsman Tom Westley and the duo took on the Notts bowling attack. Playing just his second innings for Essex, Vijay reached his century off 173 balls and put on a 204-run partnership with Westley for the second wicket. Vijay was castled by yet another England discard Samit Patel right after reaching the three-figure mark but by then, Essex were already 221/2 with just 59 runs needed to win the game. Westley notched up his maiden century of the season and took his team home with an unbeaten 110. With this win, the defending champions get 20 points which all but guarantees their place in the Division One for next season. Notts will get three points from this match and stay in the fifth position. still need points from their last match at home to Somerset starting on 24 September to secure their survival in the Division One. Essex captain Ryan Ten Doeschate was full of praise for the Indian opener for his performances in the Test. "The manner Murali has gone about his business in this game - in the first innings, it was tough and he managed to grind out a 50. Then in the big chase, you want the top three to score runs and he did it with his hundred. He's easy on the eye and showed the quality he possesses," he said in the post-match presentation. Vijay will look to continue his good form for Essex and prove a point to the Indian selectors for dropping him mid-way through a tour.